On Monday 24 September 2018 more than 60 leading experts from the cultural and creative sectors from across Europe called on Brexit negotiators to address their urgent concerns related to mobility, funding and partnerships, and legal questions surrounding the future relationship between the UK and the EU. b. Mitigate negative impacts on UK cultural organisations as a result of Brexit. 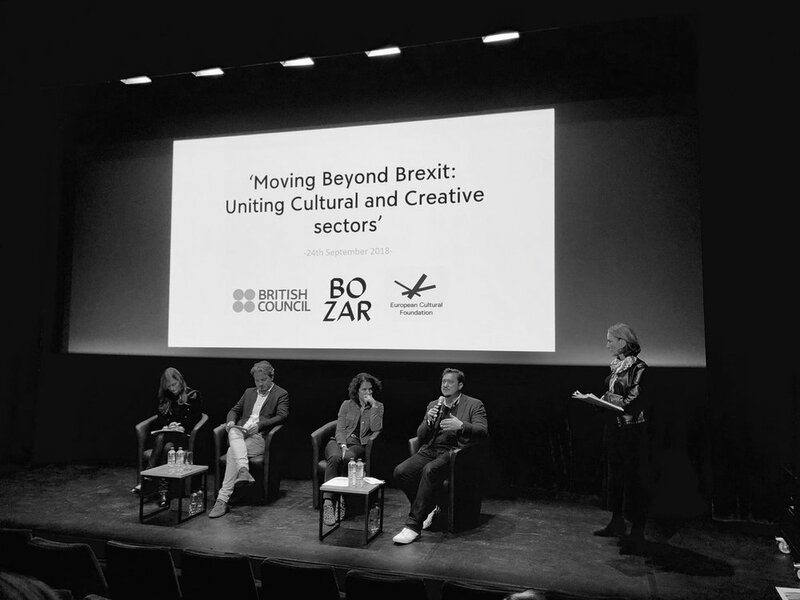 The event ‘Moving Beyond Brexit: Uniting the Cultural and Creative Sectors’ was co-organised by BOZAR, the British Council and the European Cultural Foundation. Kate Arthurs, the British Council's Director Arts, reflects on the event and its’ outcomes on the website of the Britsh Council. A dedicated linkedin group was established to continue conversations.